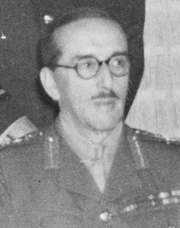 He was Chairman of the British Chiefs of Staff committee during the second world war and is seen as one of the main architects of allied victory in 1945. Alan Brooke, Viscount Alanbrooke is currently considered a "single author." If one or more works are by a distinct, homonymous authors, go ahead and split the author. Alan Brooke, Viscount Alanbrooke is composed of 9 names. You can examine and separate out names.